You’ve seen it over and over. The FBI uses their advanced technology to “enhance” a blurry image, and find a villain’s face in the worst possible footage. Well, How-To Geek is calling their bluff. Read on to see why. All imaging technologies, either digital or analog, all work roughly the same way. Let’s think about cameras for a moment. All cameras create some kind of image when light (particles we call photons) interact with some sort of image creating media. In digital cameras, it is a photoelectric sensor. In film cameras, it is a chemically treated, light sensitive strip of film. It may surprise you to know that film-based cameras can capture more detail than even extremely high resolution digital cameras. But even with a film camera, only a limited amount of light can be recorded on the film. The same is true with any imaging device, be it a video recorder, a digital camera, or a flatbed scanner. And since any picture is taken in a finite period of time (usually fractions of a second, in the case of cameras), there is necessarily an upper limit to the detail of any captured image. In digital imaging, that upper limit often has to do with the ceiling the camera or device has—the number of pixels the sensors inside the camera are capable of detecting, for instance. This is all about the limits of the device itself, and is slightly different than the problem of a finite amount of light reaching the media in the camera. Put simply, no camera, no matter how advanced, has an infinite capacity for resolution. Computers are interesting machines, but they are not without their limitations. One of things most people misunderstand about computers is that they aren’t really capable of creating “new” information, they just sort of create “different” information. In mathematics, when one part of an equation is defendant on another part, it’s called a function. When Y = X+1, Y is a function of X. Whatever, X is, Y is directly correlated. Computers operate in a similar manner. You can give a computer a huge text file of random letters and a dictionary, and tell it to arrange those limited set of letters into words from the dictionary. This works because the end product can be broken down into a function of the set of random letters, the words from the dictionary, and the directions to create one from another. You might ask the question, “Isn’t is possible to create a function that can add detail to a bad image?” Well, we’re not likely to create one anytime soon. Simply because we recognize an arrangement of pixels as a face does not mean that it’s an actual face. The face part is our perception of that data—we are in fact only looking at data! To take image data and transform it into “better” data is an impossibility. A function that creates something as specific as a human face from nonsense data would require actual knowledge of the end product—you would need to know the actual person’s face in order to “find” it in the blurry image, which sort of defeats the point of this imaginary technology anyway. It may be possible to create some kind of face-like image from garbage image data, but this doesn’t mean that that product will be relevant. It might create a face that doesn’t actually look anything like the person that was actually there. It would more likely just create a mass of pixels that sort of just looks like a “different” version of what’s there. In TV logic, there’s a face locked behind that image, and the good guys are simply going to find a way to get to it. In reality, it’s only data—and any function that recreates the circumstances of a photo being shot already has that information within it. Lots of money is being spent by government agencies like NASA to search the sky with satellite telescopes like the Hubble and the Kepler. These scopes and others on earth provide amazing, deep space digital photography of light, and also other wavelengths in the electromagnetic spectrum—things like radio and micro waves, and high frequency radiation, like gamma and x-rays. But all of these images are subject to the same limitations discussed earlier. They are snapshots in time. A limited imaging of X-rays is the same as a limited imaging of visible light. If images could be “enhanced,” deep space photography would be easy for anyone and everyone to do. If you can “enhance” an image by zooming in on a face in a crowd, why not go outside, take a snapshot of the sky, and “enhance” it to see the details on the ground of Pluto? If this was possible, an image—any image—could conceivably contain all the image data in the universe. Is Actual Useful Image Enhancement Possible? Simply because the way trope-riddled writing presents image enhancement is wrong, wrong, wrong, doesn’t mean that graphics programs aren’t useful tools for this sort of problem. As long as the information is actually within the image, some sort of “enhancement” might make it easier to see. Take, for instance, this dark, shadowed image, lightened to show detail within the shadow. This type of “enhancement” is real, and available to anyone with a computer. The difference is the data is already there—we’re just looking at it a different way. Our eyes can’t see (depending on your monitor) the detail in the face on the left. But the “enhanced” version on the right shows us plenty of detail in the shadow, giving us a better picture of his face. So the FBI most likely doesn’t have magic Photoshop powers, and you can’t take pictures of the little green men living on Pluto with your funsaver. Don’t believe everything you see on TV! 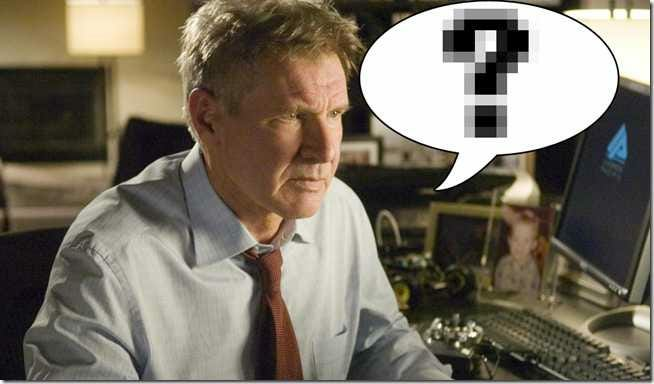 Image Credits: Harrison Ford from Firewall used without permission, assumed fair use. Light Writing by BloomsEyeView, Creative Commons. 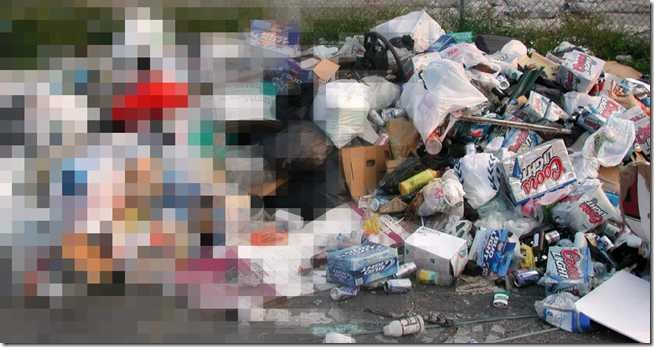 Garbage by Editor B, Creative Commons. IMG1189b by HooverStreetStudios, Creative Commons.